A special edition of Mozart's well-known Duet, originally for violin and viola. 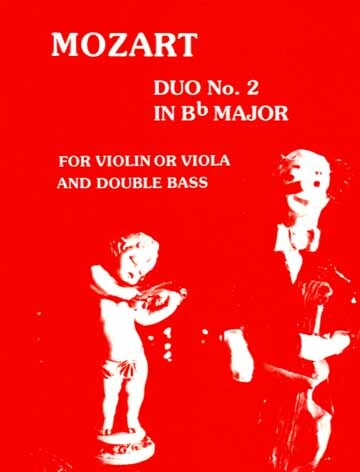 In this edition the violin or viola plays the original violin part while the double bass plays the original viola part. All parts are included.